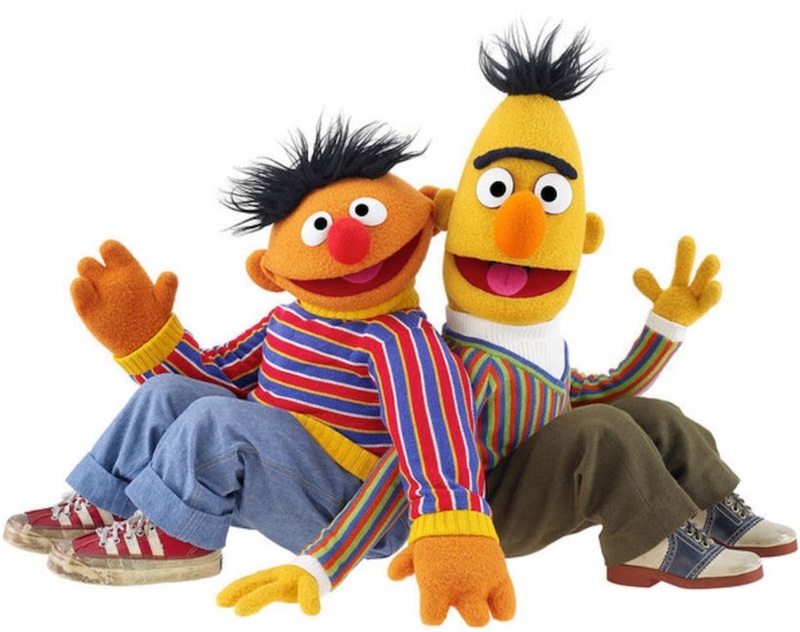 Only problem......Frank Oz, who created them....."It seems Mr. Mark Saltzman was asked if Bert & Ernie are gay. It's fine that he feels they are. They're not, of course. But why that question? Does it really matter? Why the need to define people as only gay? There's much more to a human being than just straightness or gayness." This response from the only person of authority on this matter was met with a fury of criticism from the LGBTQ. One dude wrote, "then why does Frank feel the need to identify them as "not gay" That's also a label." And Frank Oz for the win in his response....."The same need I would feel if Bert were identified as a linebacker for the Colts. It's not honest." I thought they were gay when I was a kid. Why is this news? Read something in National Review today that mentioned a school where 2/3 of the girls identify as transgender. We as a society have made some very unfortunate decisions about what we portray as "cool." Sadly, that's all a lot of adolescents have to go by now. Several of those going after Frank Oz were stating that 30% of high schoolers today identify as gay. Have no idea where that stat comes from if it’s even factual. Theory is wrong. Neither is a person.